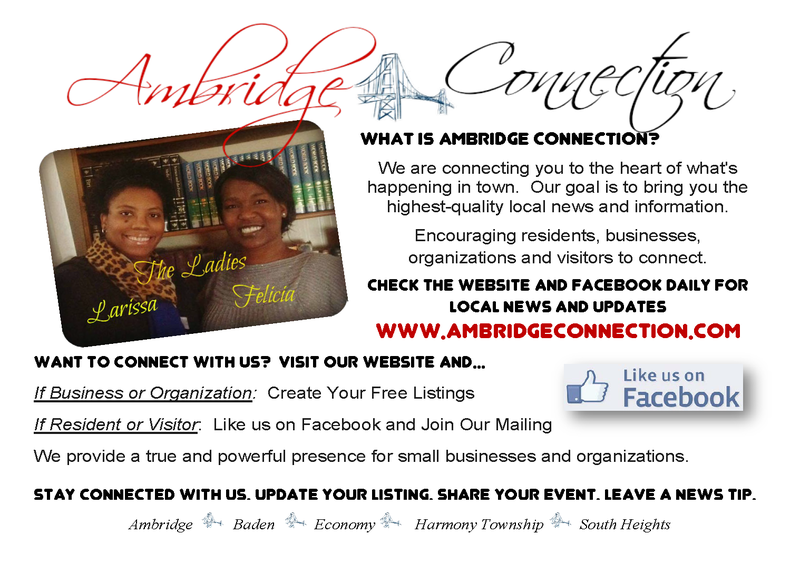 When we first starting AMBRIDGE CONNECTION, we had a section dedicated to the local businesses. With the encouragement of a local intern, we are bringing it back!! Click on the community to learn about the local businesses. If you would like to help with Baden, Economy , Harmony Township, or South Height Businesses contact us today.